At Makerspaces / Hackspaces I have noticed one thing, “people come for the 3D printers, but stay for the laser cutters” and why is that? Well, dear reader, it is because they are quick and relatively easy to use. The only problem with them is that they cost rather a lot, with some mid-range hobbyist cutters costing around $3000. So, if your space wants a cutter, but they don’t want to pay too much for a basic cutter then the K40 could be an interesting entry to the world. The K40 is a relatively small 40W CO2 (Carbon Dioxide) engraving machine from China. Originally the K40 was sold as a basic engraving machine, but the community that has grown around the K40 has tested and documented that the engraver can be used to cut up to 6mm thick acrylic and 5mm plywood. So, for $500 the K40 looks like an ideal choice for spaces looking to try before committing to a much larger unit. 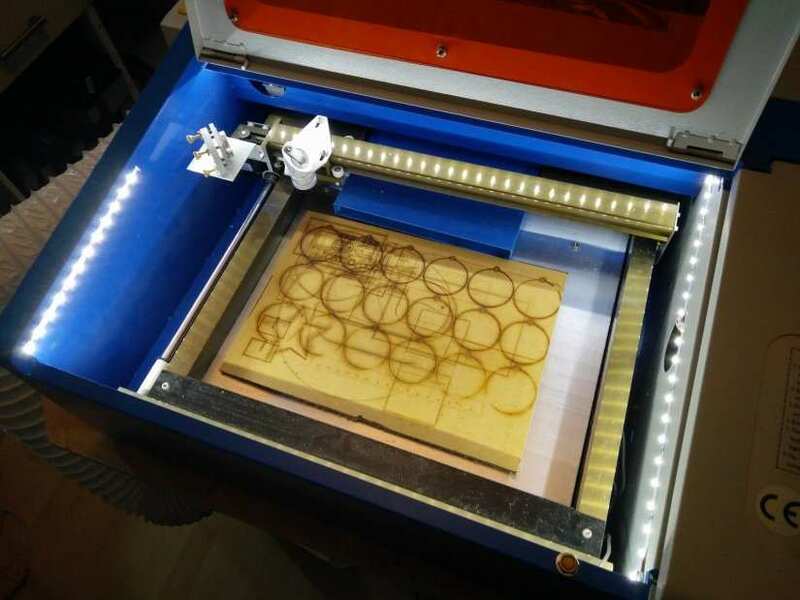 The K40 is a versatile laser cutter, and it can engrave and cut many different materials, woods, some plastics (nothing with chlorine chemicals as that is hazardous) and many craft materials. In this blog post, we shall take a look at the K40 with a view to safely setting up the cutter ready for us to create a project. So let's open the box and build our laser cutter! Setting up the K40 is rather simple as long as you work in stages. 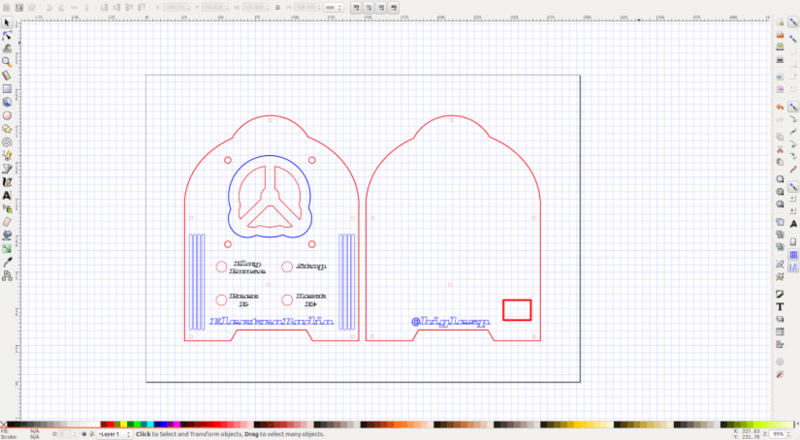 So, here is my workflow for safely setting up the K40 laser cutter. Let's start with the extractor fan unit: this attaches to the rear of the unit. Now your fan will be square-shaped and the hole in the K40 is rectangular. Not the best fit but the extractor fan will extract the vaporised particles that collect when cutting with the K40. You will need to secure the fan in place, the holder does an “adequate” job, but with the addition of a few strips of duct (duck) tape the fan will be secured and relatively efficient. The fan connects to what looks like a section of tumble dryer ducting which is then vented out a window or purpose-built vent system. At my makerspace, we have an extraction system that connects to the ducting and provides additional suction to draw the vaporised particles through the extraction system and vent to the outside. The Laser tube is at the rear of the unit, and by standard, this is connected and ready for use. With the power off check that the tube has no cracks or defects, and that it is safely connected. When the K40 is in use, do not open the cover for the laser tube unit as there is a risk to eyesight! The laser tube also has two silicon pipes that connect to a chamber around the tube. These pipes are used to flow cool water around the tube, keeping the laser tube cool and enabling the K40 to be used for extended periods of time. To pump the water around the tube, a small submersible pump is placed in a bucket/container of water this is then connected to the silicon pipes with cable ties used to ensure a secure connection. Be careful as this submersible pump is not earthed! Touching the pump/water and an earthed device could result is a mild electric shock, as happened to me. For safety's sake, replace the pump with a safer submersible pump, such as those made for aquariums. The water in the pump should be clean and clear. If not replace it. To prolong the life of the water you can use a little antifreeze, but this is a choice you will make for yourself. At the rear of the K40 is an IEC PC style power input that will take a 240V (UK power supply) earthed connection, this then connects to a power unit inside the K40, under the right-hand control panel. This power unit provides up to 24V of power for the laser, motors etc. There is also a 5V supply that is used to power the control board. In the same compartment as the power unit is control board, in our K40 we have an M2 Nano board. This connects to the stepper motors used to control the position of the laser in the gantry, the laser unit and a USB interface used to connect your computer to the K40. 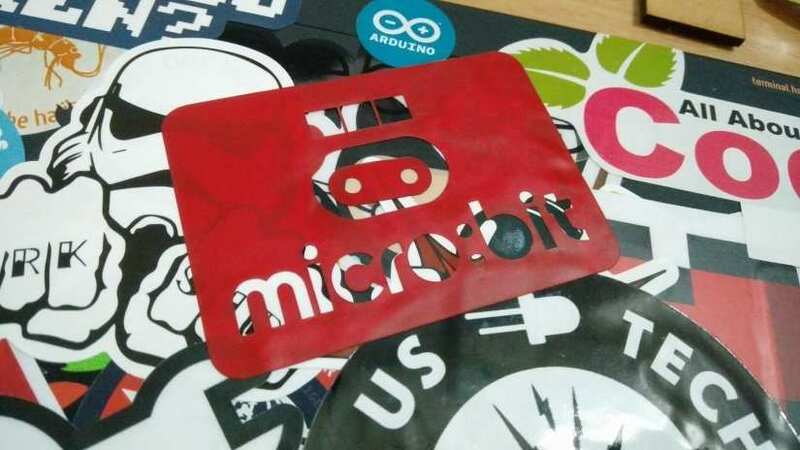 The M2 Nano board is capable, yes it can be replaced with better boards, even an Arduino Mega, but for basic cutting and engraving, the stock M2 Nano is great. This board also connects to a basic control interface on the K40. From the interface we can control the power of the laser using a potentiometer and see the power using the built-in gauge. There is a momentary switch which is used to test fire the laser (sadly the sequence is nothing like firing the Death Star) to check power levels and alignment. There is also a locking push button that is used to activate the laser. Lastly, there is a rather large power switch. So lets power on the K40. Turn on the extractor fan, then the water pump and finally press the large power switch on the K40. The laser will auto home to the top left of the unit – this is our origin point. Now because our K40 has come from China chances are that the mirrors that are used to direct the laser will be out of alignment. There are three mirrors, one in the laser tube compartment, another on the Y-axis of the gantry and a final mirror on the laser unit. So, let’s get them all aligned. For this we need to set the laser power to a point where it will leave a mark on paper, but not be dangerous to our eyes. For safety purposes we have to mention that lasers are harmful to your skin and eyes so please take adequate precautions to prevent harm. To align the mirrors we need to use a piece of paper and in the laser cutting area, look in the top left and you will see a large hole, this is where the laser fires from the tube into the cutting area. Place a piece of paper over this hole and press the laser test button, you should see a burn mark appear in the paper. If not, adjust the power until you can see this. If you do not see a burn mark even with about 25% laser power, then the mirror inside the laser tube compartment requires adjustment using the thumb screws. This process will need to be repeated for each mirror in the sequence, carefully adjusting the mirrors using the screws and testing that there are consistent burn marks in the paper. Once focused correctly the laser should create a tiny pinprick burn mark on a piece of paper placed on the cutting bed. 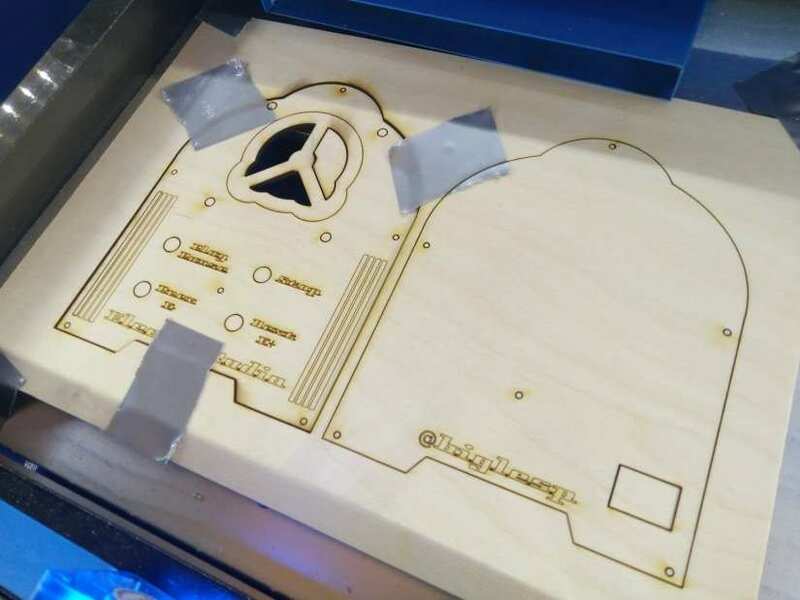 For added precision, move the laser cutting head to the corners of the cutting area and repeat the test fire process and confirm that there is a precise laser burn mark in the paper. That’s it, our K40 laser cutter has been configured and calibrated, and finally, it is ready to be used. In the next part of the series we shall be creating a project that we shall cut with the K40, but first we need to design the project using an open source alternative to Adobe Illustrator / Corel Draw called Inkscape.